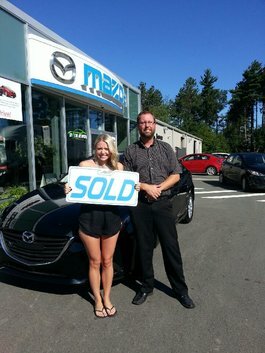 Congratulations Jenna Calnek on the purchase of your new Mazda3 GS! 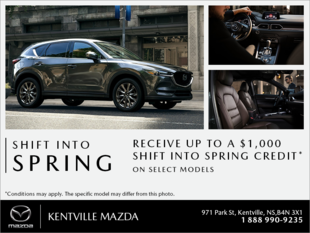 From your Sales Consultant, Jason Rushton, and all of us here at Kentville Mazda, we thank you for your business and hope you have tons of fun in your new Mazda3! Zoom-Zoom!